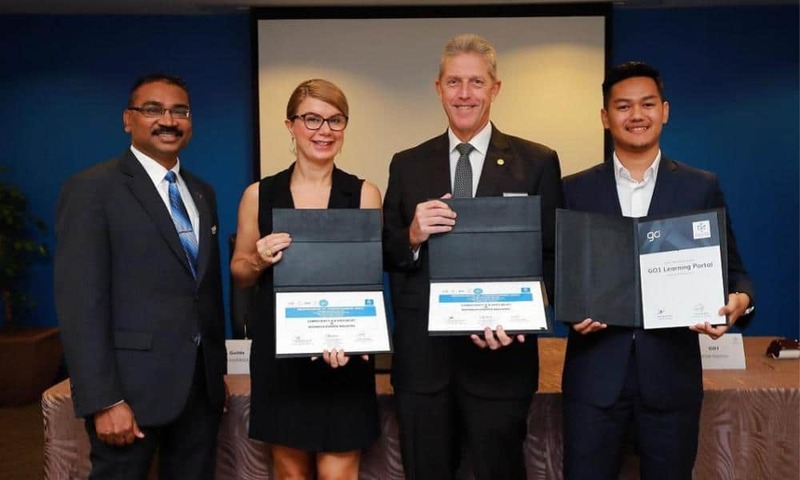 During a recent Memorandum of Understanding (MOU) signing ceremony, the Kuala Lumpur Convention Centre (the Centre) launched its ‘Competent F&B Specialist in Business Events Industry’ training initiative in partnership with City & Guilds. The occasion also saw 10 of the Centre’s inhouse trainers awarded their City & Guilds appointment letters which enables them to commence their training sessions at the venue immediately. In addition, the Centre unveiled its new learning management system (LMS) ‘EduClick’ developed in conjunction with GO1. City & Guilds is the United Kingdom’s leading awarding organisation for work-based qualifications. Offering more than 500 qualifications through 8,500 colleges and training providers in 81 countries worldwide. GO1 is an established leader in online learning and education, providing the simplest way for businesses to find, book and deliver their corporate training. As an industry leader whose quality and service excellence depend on a well-trained workforce, the Centre puts an emphasis on training and professional development to enhance the skills of its team members, many of whom go on to utilise these skills in other parts of the Malaysian hospitality and business events industry. In addition to its investment in the City & Guilds programme, the Centre has also created its very own learning management system (LMS) in collaboration with GO1. This provides employees with more opportunities and the flexibility to grow and enhance their skills through an ‘on-the-go learning’ platform – EduClick.